Due to demand, we have 90 minutes seating for each reservation so everyone may enjoy their experience. We kindly ask that all guests participate in our pre-fixe tea tier service. Subway: N, R, Q, F, E, M, 4, 5, 6 are all within walking distance. Holidays are approaching and the Palm Court is excited to share these special holidays with you and your loved ones! Reservations are accepted 60 days in advance and made ONLY by phone or email at palmcourt@fairmont.com. Credit cards will be required with each reservation as there is a 72hour cancellation policy. We look forward to welcoming you to the Palm Court and wish you the best of holidays! 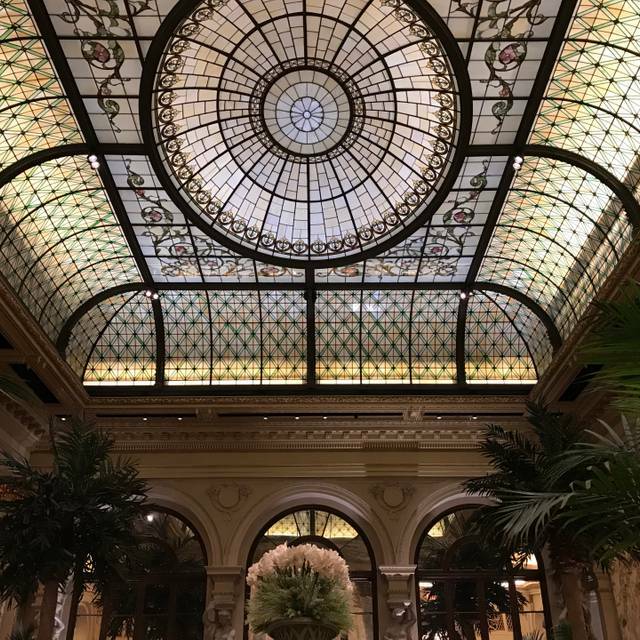 The iconic Palm Court at The Plaza hotel with a complete renovation helmed by Master Architect Thierry Despont. 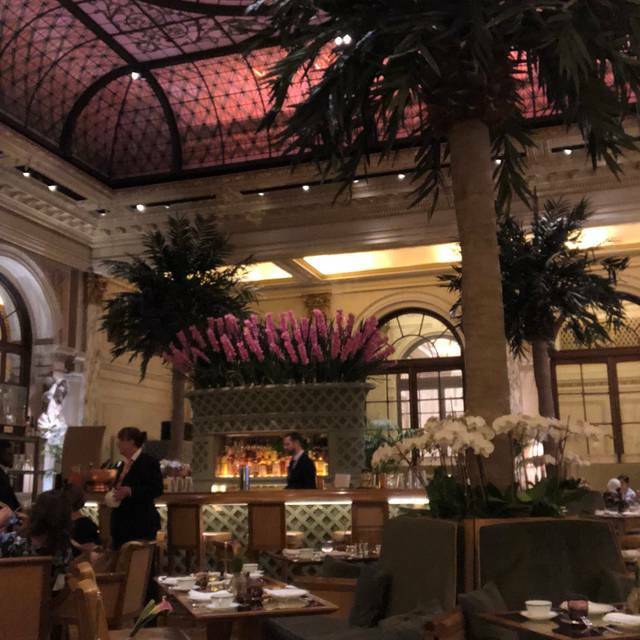 The Palm Court showcases classic American savory menus from morning to evening, while Despont has brought the grand feeling of Central Park indoors, creating an ambiance that feels warm, private and glamorous. Bespoke furnishings provide a relaxed, yet elegant setting well-suited for either a professional breakfast meeting or an evening of cocktails crafted by mixologist Brian Van Flandern. Afternoon Tea truly shines with custom tableware and china, a tea list with worldly depth, and of course, a bit of Eloise too. Pastry Chef Matthew Lambie creates unique dessert experiences that effortlessly combine both classic and modern elements, while staying true to the Palm Court grandeur. 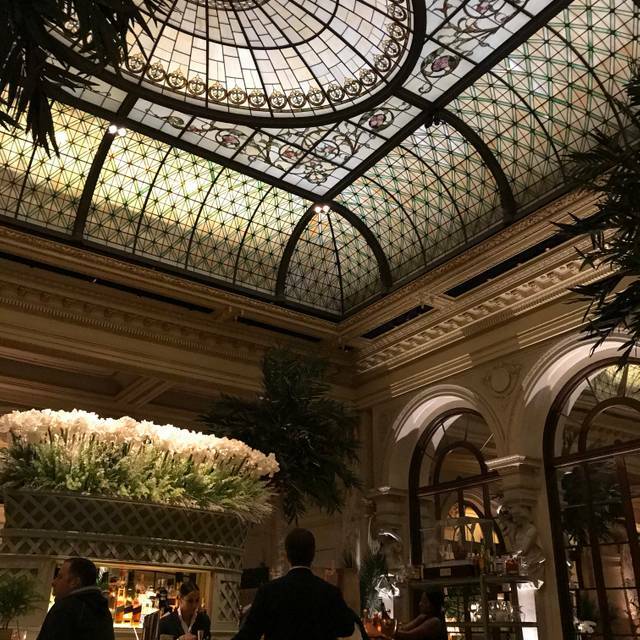 This elegant room marked with its stained glass dome and impressive height adds a touch of old New York to a very polished and modern sense of hospitality. A wonderful Easter brunch experience. Food and service were exceptional. The ambience was incomparable. Although typical New York, the price was excessive. Kazi was an amazing waiter—an absolutely lovely afternoon at one of the most storied hotels in the world. Could not have had a better time. Nous avions emmené nos enfants pour une expérience unique de high tea au Plaza. 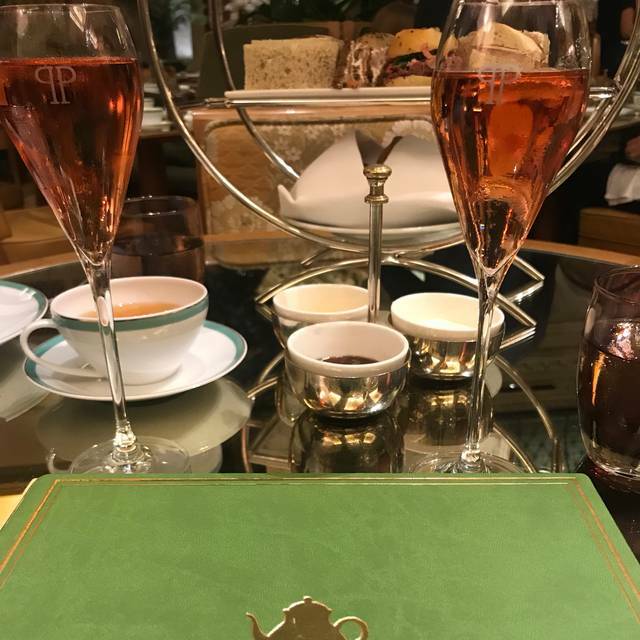 Ayant déjà apprécié le high tea dans d’autres endroits d’exception comme chez Harrods à Londres nous nous en réjouissions. Sincèrement, nous avons été un peu déçus car les gâteaux étaient quelconques et les petits fours salés tous froids. Le tout pour une addition exorbitante - 450 $ à quatre, le lieu est magnifique mais l’assiette ne suit pas. Dommage. It's a tourist trap for anyone who wants to experience tea at the Plaza. The ambiance is very pretty and the service is attentive. However, my daughter and I (she's 18) enjoyed watching all the small kids seem to enjoy the experience. We decided not to order the tea sandwiches because the selection did not appeal to us. We ordered off the lunch menu instead. My daughter enjoyed her pasta bolognese and I was disappointed with my chicken caesar. The desserts we ordered were not fabulous. Be prepared for a very expensive tab nonetheless. There was an large (shareable for a few people) ice cream sundae that was described as somewhat basic with sprinkles and such for $300. Bottom line: the room is beautiful, yet loud and was mediocre. Absolutely spectacular high tea with Eloise option for little ones. The service is top notch and the food was delicious. 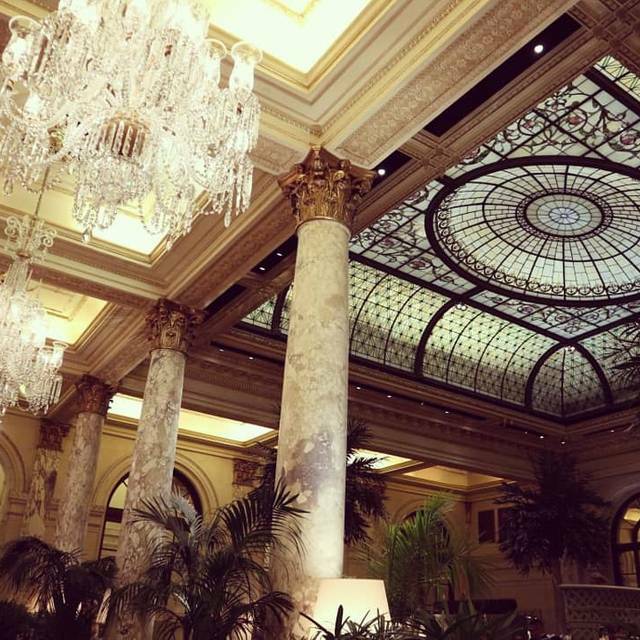 Don’t miss the opportunity to dine below the Tiffany glass ceiling! The Palm Court opened at 12:15pm even though we had a noon reservation because they were in the middle of a staff meeting. The staff could see all the families with young children waiting, but chose to ignore us. The food was mediocre and not particularly fresh, although the tea was good. A great disappointment and certainly not worthy of the Plaza. 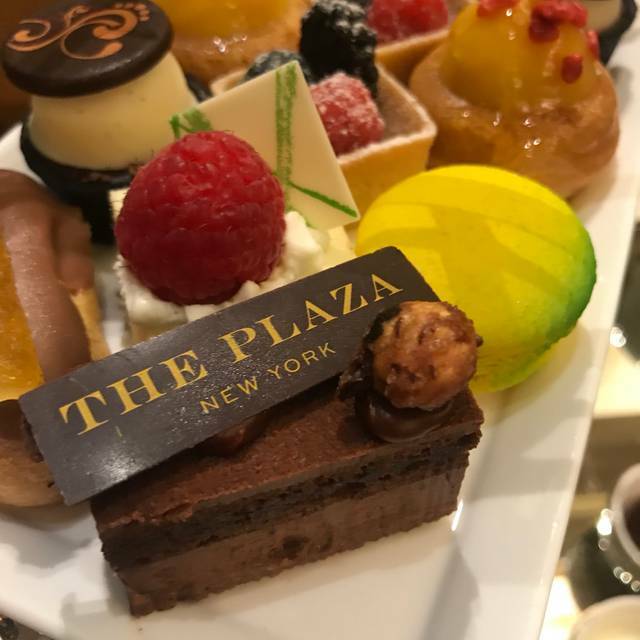 Tea at the Plaza is definitely a "must do" experience, a bit pricey but the service and presentation are outstanding. If you are truly hungry and want a satisfying meal, this is not the place for you. 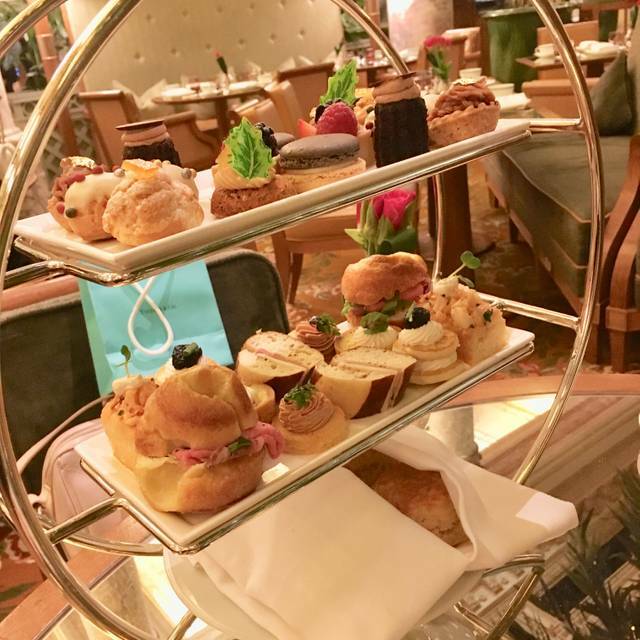 Experienced many high teas around the US, UK and South Africa. We were excited to add the Plaza to the list. My friend and I are both sales professionals. While the overall Intent was good the execution was disappointing. Mainly service on all levels was just not good enough. I called to move the reservation by 30 mins as we were still enjoying a walk around the park. No response. When we rushed back due to no call back....The host said our reservation was only at 1:30. I said we didn’t get any confirmation that we could come a little later so we were on time. We were told we could be seated in 15 mins. We wanted to use the bathroom in the meantime while we now needed to wait. The security didn’t want to let us go up to the second floor - where we were told to go to the bathroom. Not ok to be treated like this at a venue of this caliber. We ordered champagne and tea. My champagne was spilled a little on delivery. Ok. Not the end of the world. I ordered coffee. The cream was off/bad/curdled. I had to ask for a new cup, cream - just gross. Again not what you expect at this venue. When our plates were removed, the waiter dropped the plates and utensils slid all over. Again - accidents happen. It’s how it’s dealt with. Not handled well or professionally. Overall just an ok experience. Not what you would expect at an iconic venue. Not a professional experience for us. Pretty disappointing. Relaxing ambiance with great service. Food could be improved to match the price. The plaza is obviously an Establishment in New York City, an Icon. Beautiful hotel and beautiful court in the plaza for the High Tea. However the fact that all random tourist can just barge in to this place and are allowed to sit in the restaurant with t-shirts takes away all the magic. Next to that the food is prepared like catering, waiters don’t explain the dishes and definitely nothing about the teas.. isn’t that why we are here?! The best was still the overpriced Champagne that we ordered. I would say loose all the tourist, add a dress code and up the quality of the food to make this exclusive again and how it should be at one of the most luxurious hotels of NYC! The service was horrible. Two toilets for all the women at The Palm Court who are drinking champagne and tea. My friends had to go to restroom so bad with 20 women waiting in line they went to the men’s bathroom. The presentation of food was nice. The tea was delicious. Really cool experience. Our waiter Fariz was super nice and helpful. Highly recommended. The food and service were tremendous and I cannot fault that aspect of our visit. The silverware was polished perfectly, our tea brewed to perfection, and our servers gracious and pleasant. A lovely experienced and all that we had hoped for and more. Our experienced was marred by the fact that there were only two bathrooms stalls upstairs off a section of the hotel bar. We paid almost $300 to wait in line for more than 20 minutes with almost 15 people in the line at one point. This is truly unacceptable in a 5 star establishment. We paid top dollar but got treated like cattle. No one from the hotel was monitoring this situation or drew the attention of management to come and assist even though they were close by. Fabulous! Luxurious! Great service and ambiance! A must go to if you’re in NYC for a special occasion ! The service was awful! We had buffet for three people and only one order from the kitchen (smoothie), which took an hour and a half, several asking and was finally when it was delivered it was the wrong smoothie flavour. The management was not apologetic nor did they subtract the wrong item from our ticket! Never AGAIN WOULD WE CONSIDER THAT PLACE!!! The vegan tea was nice but absolutely overpriced. The amount and quality of the food was very disappointing. One of the tea sandwiches was a peanut butter and jelly sandwich. That’s unacceptable for $79 per person. 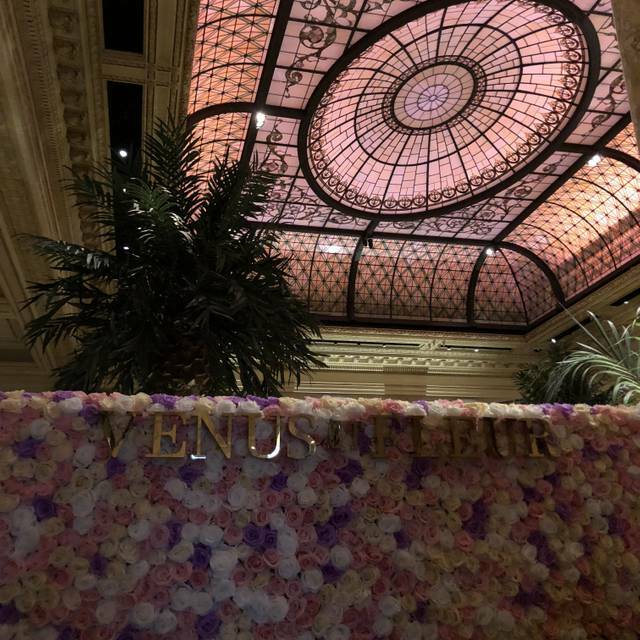 OK, the Palm Court is a iconic room in an iconic hotel. It depends on its reputation to attract tourists and those who want to be seen. The tea service is cute with crustless little sandwich squares and pastries. But tea-for-two for $200? Enjoy a visit to this once glamorous site, cross it off the list, and don’t return. Excellent service and an outstanding setting. Pricey food, but worth a visit. Absolutely wonderful experience. The staff were so respectful, kind and welcoming. The service was amazing, food and drink were top quality. The aroma of fresh flowers was one that I will not forget. A fantastic way to celebrate a birthday by having breakfast there. A beautiful plate of cakes with a lit candle brought out made this a truly memorable day. I would highly recommend to come here. This was an NYC experience that I am glad I shared with my daughter. It is a treat we will always remember! 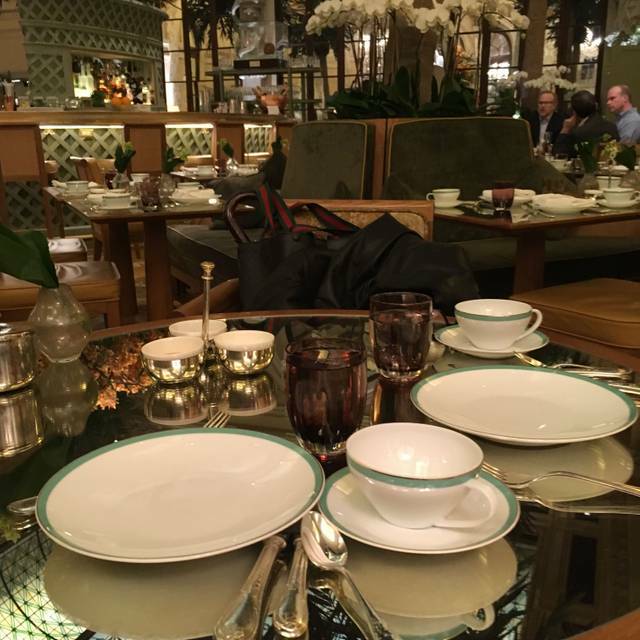 Lovely experience at the Palm Court for breakfast. Food was lovely and the setting was so nice. Felt rushed by the waiters though, they bought out my mums birthday cake candle mid way through our meal and bought the bill before we asked. A shame as apart from feeling rushed it was amazing! Fantastic service. Great food and a beautiful setting. What more do you want? Food was poor quality and mass produced. Waiter had a dirty suit, inattentive and rude. I do not expect to see the Hostess texting on her phone in a 5 star hotel. The ladies toilets were dirty and smelled. Worst 240$ I have ever spent and certainly the worst experience. When we return to Manhattan we will not be visiting The Plaza again! Over-rated. Put your money to better use. Don't complain about the quality of food - or else you will get sub-standard service thereafter. The manager will come by and give his business card and ask you to come back another time. No thank you. The food, service, and ambience were all fantastic. The services provided by the professional management and staff are the main reasons that we keep coming back. The old world elegance is a rare thing, and we value their focus to make sure that everything about the dining experience is excellent. I highly recomend this restaurant. Beautiful setting for a special birthday breakfast. The service and food were excellent and the ambience just lovely. I love dining here! I am never disappointed. Elvis gave us exquisite service yet again!!! Was the perfect afternoon with very delicious food and champagne. Ambiance was wonderful. We had a wonderful time. Food was less than stellar. Everything else was awesome. Amazing experience visiting this world famous hote for afternoon tea! It’s a once in a lifetime thing to do! The entire experience was very special. Our waiter took some photographs for us as we were celebrating an important wedding anniversary. A plate of macarons wears also brought to the table with a lit candle and happy anniversary written on the plate. The only thing that slightly marred the experience was some of the sandwiches had gone hard due to being made in advance. Other than that everything was perfect. They brought my 11 year old grand daughter a lovely surprise of four macaroons with a candle and handwritten happy birthday on the plate! Wonderful!